It all started with a conversation I was having with my Vienna Capitals captain Jonathon Ferland. Ferly is from Quebec and his family has a maple tree farm. We got talking about maple syrup one day when the conversation turned to maple water. We are always looking for healthy ways to keep our students hydrated and Ferly kept telling me how amazing maple water was so I figured it was time to do some research and find out for myself. I started snooping around on Instagram at the different maple water companies and that is when I came across Vertical Water. Naturally I did what any normal person would do and rush to the nearest Whole Foods and buy some Vertical Water and see for myself. Well it did not disappoint. Their water is tapped fresh from U.S. maple trees, is non-gmo and is 100% pure with nothing added or taken away. 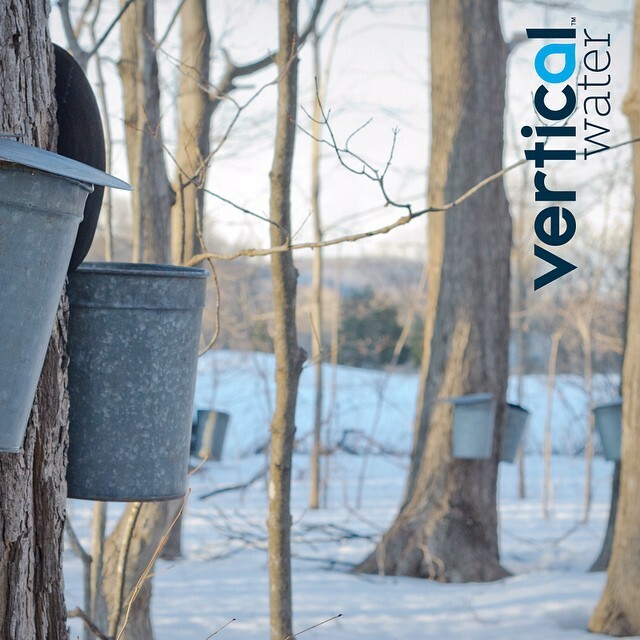 What separates Vertical Water from the other maple water brands is their dedication to conserving American forestland. Since Vertical Water comes directly from trees and healthy trees are vital to producing the highest quality product, conserving forestland is at the heart of their company mission. After a discussion with Cody, who loves all things maple, we decided to reach out to Vertical Water CEO, Valentina Cugnasca. We had a great discussion about how we are trying to promote a healthy, active and eco-friendly lifestyle through our Mountain High Hockey camps. It turns out to be a perfect fit and we couldn't be more excited to have Vertical Water involved in our June hockey camps. To learn more about Vertical Water and their company initiatives be sure to check out their Facebook, Twitter, and Instagram pages.